Most individuals who want to learn how to play the guitar have a style of music, an artist or a band they are interested in. This is the music that usually is the inspiration for setting-up guitar lessons in the first place. As a guitar instructor it is important that I tailor each guitar student's curriculum with this music interest in mind. While music theory, music reading, scales, basic and advanced guitar chords and exercises are all important, it is equally important to apply all this to a style of music that the student is passionate about or inspired by. From one student to the next goals tend to vary. Some students are satisfied learning how to play some basic guitar chords and strumming patterns for their own enjoyment while others are involved in music groups that perform in public. Setting a goal is extremely important whether you're learning how to play acoustic guitar, the electric guitar or both. The curriculum, goals and a practice schedule will be discussed during your first visit to the studio. 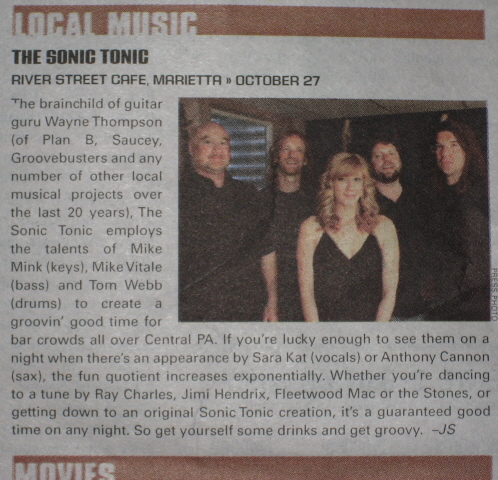 Lancaster Sunday News article, May 20, 2001. WAYNE THOMPSON PENS TUNES, TOME ON THE GUITAR. Wayne Thompson, 34 of Lancaster hopes to strike a chord with his new book, Guitar Shop. A full-time guitar instructor at [local music store] in Lancaster, Thompson wrote his first instructional book for the guitar, which he hopes will be published nationally soon. Thompson, who has played the guitar for 24 years, said the book will be a valuable teaching tool, since much of the inspiration for the book came from the more than 25 pupils he tutors. "The book was written through trial and error with the help of my students," Thompson said, "It's very user friendly and comes with a CD that walks you through each lesson. There are also a number of play-a-long jams at the end of the CD - very hip." Thompson said the book is for the beginning through intermediate guitar player, and is printed locally by Brenneman Printing, Olde Homestead Lane. It is currently available at The Guitar Shop or on line. When Wayne Thompson got tired of the acoustic guitar scene where he had been performing for years, he telephoned a few old friends. A few calls later, he had a band.Thompson's friends are all veterans of the local music scene. Drummer Tommy Leanza formerly performed with Rupadupa and other bands. Keyboardist Jim Trostle had played at Strawberry Hill. Bassist Bob Frey came from the band South Street, while Elizabeth Kelly also worked locally. 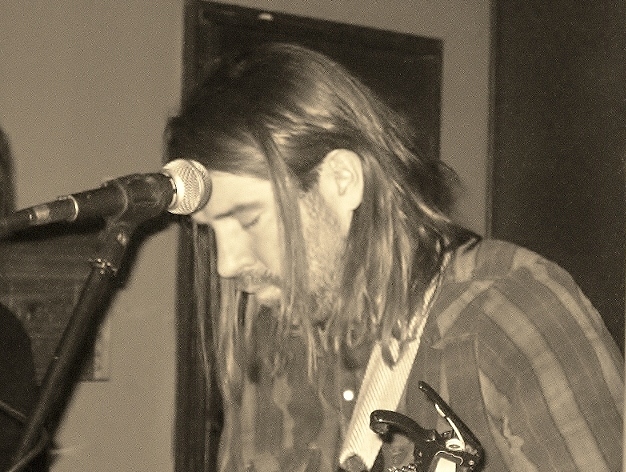 Since Frey's schedule would not allow him to be at every show, a second bass player, Mike Bitts, also joined the band. And both bassists may appear together at some shows. "It's a really funky kind of bizarre mix," Thompson says of the band's music.Steely Dan was a major influence on the band. Other influences range from Aretha Franklin, Van Morrison, Joan Osborn, and TLC. The band plays cover tunes for now. Originals could be in their future. With Thompson serving as lead singer and guitarist, the band began practicing in February. By September, the band had its first performances at McFly's and The Lancaster Dispensing Company. These shows were not only the band's first shows, but also marked the first occasions that Trostle and his former student, Thompson, played together in a band?something they had talked about for years. The Lancaster-based band would like to put out a CD someday, explains the lead singer, but for now, they are working on perfecting their act. "Right now, we just want to get through these first couple of jobs," says Thompson just days before their first gig as Saucey. 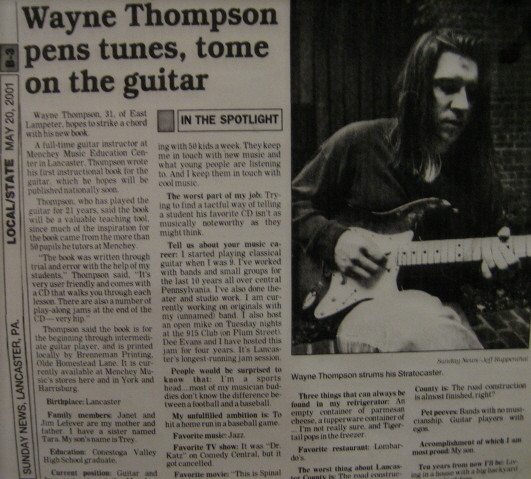 Wayne Thompson started playing guitar when he was 9. He studied with Geraldine Swink, an international classical guitar performer and a graduate of the Bryn Mawr Conservatory of Music. 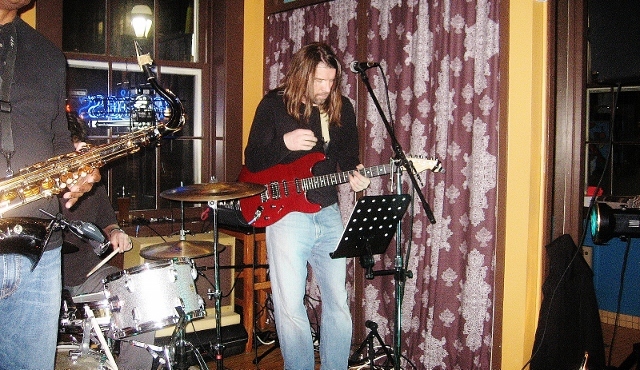 He later studied Rock and Blues guitar with James Trostle, a Berklee graduate for 7 years. His study with Trostle also included contemporary Jazz theory. He began his fulltime career in music at age 22. He has played with local and regional acts such as Plan B, Thompson & Fling, Dee Evans, Thompson & Company, Saucey, Steve H Project, The Groovebusters and a new incarnation of Plan B with Mark Showers. Currently he plays with The Sonic Tonic featuring Sara Kat. He has nearly 3000 paying jobs to his credit all over Pa, Maryland and New Jersey. He has worked the local theater circuit and played in productions of “Grease”, “Smokey Joe’s Café”, “Evita” and “Alice in Wonderland”. As a songwriter he has been successful working with local advertising agencies selling jingles and more recently scoring soundtracks for 81st Street Productions. I have had the pleasure of knowing Wayne Thompson for approximately five years. He has been a private teacher of both my son and myself. I have always found Wayne to be extremely professional, organized, and responsible. 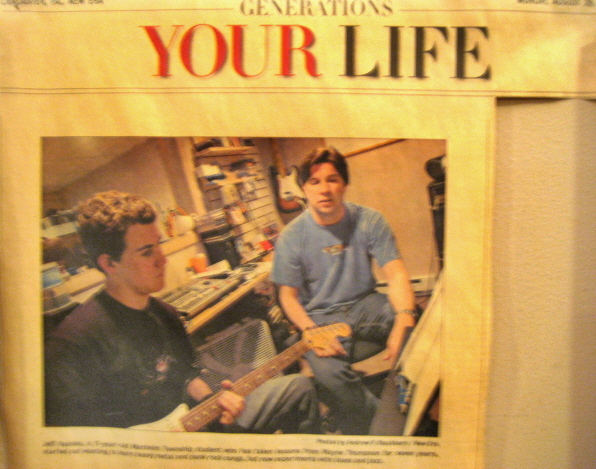 Wayne was also instrumental in helping me institute a guitar program at my place of employment, Garden Spot High School. Wayne volunteered his time to give a guitar master class to the music students and the staff at Garden Spot Middle and Senior High Schools. His enthusiasm and knowledge of subject matter would be an asset to any guitar program. It is with great pleasure that I recommend Wayne Thompson for guitar instruction. Wayne is a conscientious, caring music educator with many years of experience. He is able to give excellent guitar instruction to learners of all ages. I first met Wayne when we were both employed with [local music store] in Lancaster. Wayne was very personable, and both colleagues and students had great respect for him. He was always very professional and dependable. When I decided to incorporate guitar instruction into the music curriculum at my high school, I arranged to take private lessons from Wayne. It was then that I realized his ability as a music educator. He was familiar with an extensive repertoire of guitar music that included many different genres. He was able to demonstrate musical concepts in a variety of different ways. His gift and passion for teaching was demonstrated at every lesson. Wayne is the consummate professional. His positive attitude and caring demeanor are very refreshing. His students greatly benefit from his instruction. Wayne Thompson has been my guitar teacher/guru/friend since 1997. 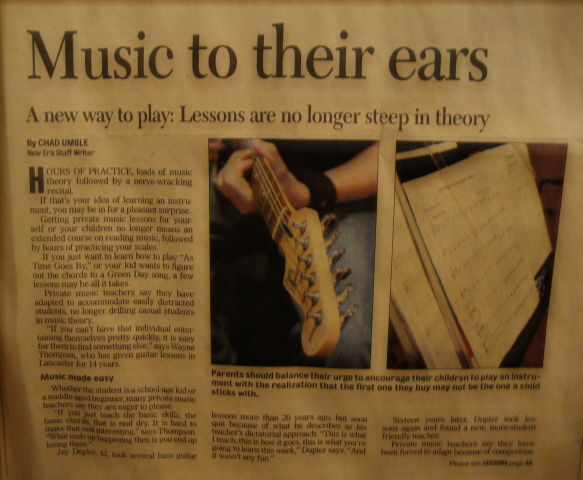 During this time I've gone from being a rudimentary guitar player (at best) to becoming a competent guitarist. I credit Wayne for creating the learning environment that has helped me grow and thrive as a guitarist. Creating this environment, this special creative chemistry is not easy, and I should know. As a 7th grade teacher in the Manheim Township School District I'm forever looking for ways to inspire students and "hit them where they live." Wayne's wide-ranging musical tastes and ability to play in a variety of musical styles helps him find each student's sweet spot and thus pursue their own musical niche. He is able to create a highly individualized and exciting plan for students of all ages, ability levels and genders. Over the years I've recommended Wayne's services to numerous students and even their parents. Many are still taking lessons from Wayne, years later. I know he's doing something right. Finally, let me unequivocally state my strong recommendation for Wayne Thompson. He is an exceptional musician but, more importantly, an exceptional teacher. If you have any questions or need more information, I will be happy to talk to you. Wayne Thompson is a fine musician with whom I had the pleasure of coordinating an enrichment class a few summers ago for the Envisions Summer Enrichment Program. Wayne was organized and flexible as he and I developed a format for a one-week beginning guitar workshop for students aged approximately 10-13. I stopped in to observe the class during one of the sessions and noticed that each student was enjoying the music instruction, was apparently making good progress and was developing a very nice rapport with Wayne. The students were wishing that the workshop had been longer. Wayne had a relaxed manner to which the students responded very positively. The following summer, I was disappointed when Wayne's schedule did not allow him to offer this workshop again for the Envisions program. I wish him well in his future endeavors. Wayne Thompson taught a group of eight students guitar as part of Neffsville Mennonite Church’s Created to Praise summer day camp. The group met everyday for 45 minutes. While the students ranged in age and ability, they were uniform in their appreciation of the guitar class and of Mr. Thompson’s teaching. Without exception, each of them loved their time with him and looked forward to it daily. Wayne Thompson has worked for me in the L.I.F.E. After-School Program at Lincoln Middle School from 10/8/04 - 12/3/04. Mr. Thompson has done wonderful work teaching the L.I.F.E. After-School Guitar Club. Mr. Thompson is accurate and attentive to details and genuinely cares about our students. We at Lincoln Middle School L.I.F.E. After-school program wish, Mr. Thompson continued success in his chosen field.